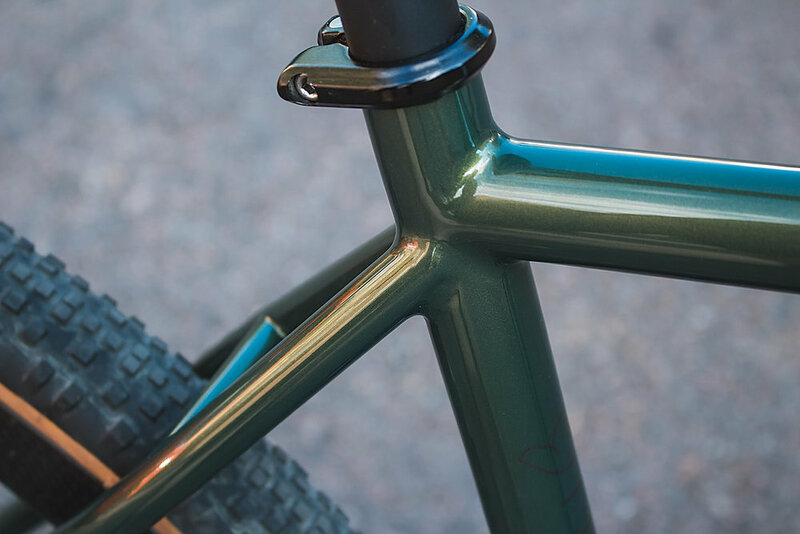 Tom's Transcontinental Adventure — Quirk Cycles | Custom Steel Bicycles Handmade in London by Framebuilder Rob Quirk. Tom had very clear ideas about the sort of bike he wanted for the race and was leaning towards a gravel frame. Eve though the race traverses mainly tarmac roads there are always gruelling gravel sections and as can be seen from previous editions these sections can make or break a race. Knowing this he went for big tyres and the simplicity of a 1x11 drivetrain. 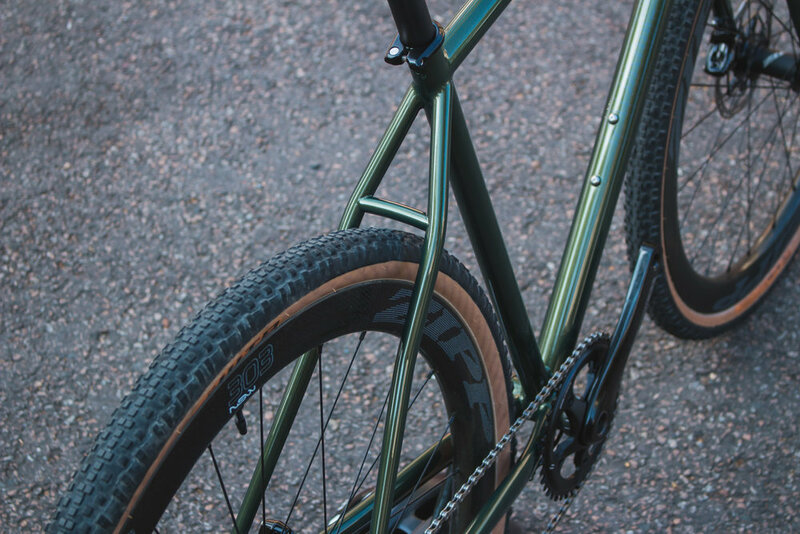 Simplicity is a theme throughout this bike and the paint is a hallmark of that ethic. A perfect example of how one well picked colour can be enough to stand out, and Tom’s choice of an olive metallic green shows this perfectly. For Tom it all came together perfectly completing the race in under two weeks without so much of a hiccup and grabbing the KOM on the devious gravel sector in Bosnia. Another successful TCR build.